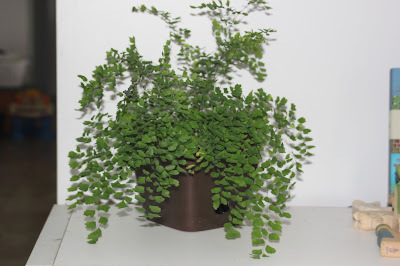 I wanted to get an office fern to make my day at work a little nicer, maidenhair ferns are always nice so I got one of them. I have been told that this one is Adiantum raddianum but don't know for sure. Many of the maidenhair ferns sold in Australia are A raddianum but there are a few other similar species as well as complex hybrids around. 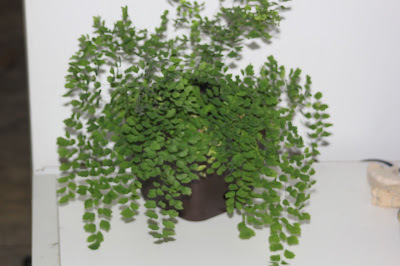 After looking at NSW flora online I am pretty sure it is not one of the 8 native species of maidenhair fern. My maidenhair fern was a tiny little fern when I got it, the fronds were only up to 6 cm long. Over the past 12 or so months it has grown large, the fronds are now up to 38 cm long, and it has started to produce spores. 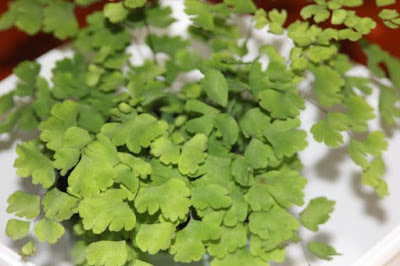 I plan to grow some more of these maidenhair ferns from spores when I find the time as growing ferns from spores is fun. 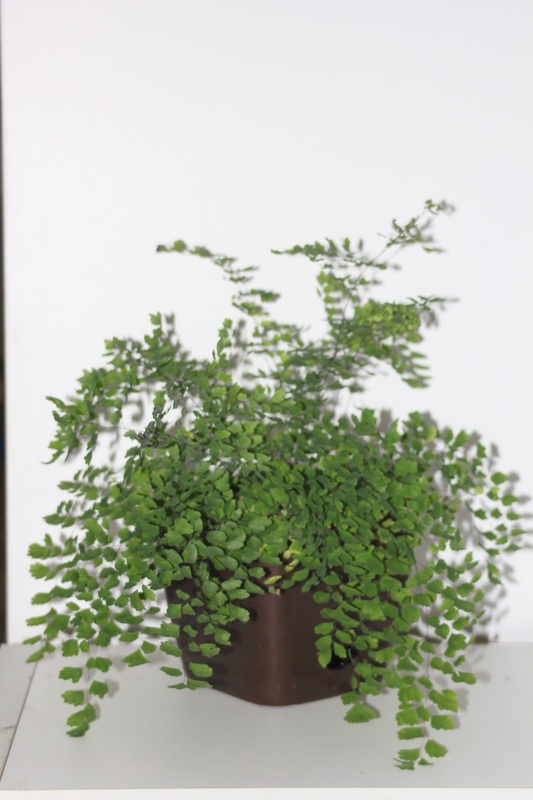 The pictures from 2016 I put the pot in a small 2 Liter white ice cream container. Not long after the pictures were taken I re-potted it into a far larger 'self-watering' pot that was about the same size as that ice cream container. 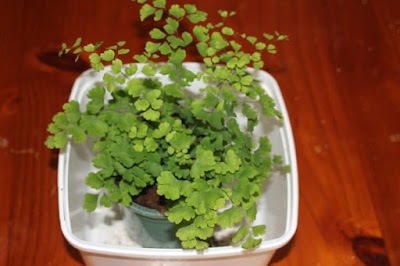 The tiny fern looked silly in such a large pot but it quickly grew and filled its new pot.